Happy Friday! It's the last Friday of September; can you believe it!? October is always a fun, full month for us with lots of family birthdays and our anniversary, so we're gearing up for a busy next month with lots of traveling and lots of celebrations. So let's get to my Friday Favorites, shall we? My boys FaceTime-ing with their 100-year-old great-great grandfather on Tuesday was enough to make my heart melt. Can you believe he's 100?! Or that my kids have a great-great grandfather?! Oh, how blessed they are! 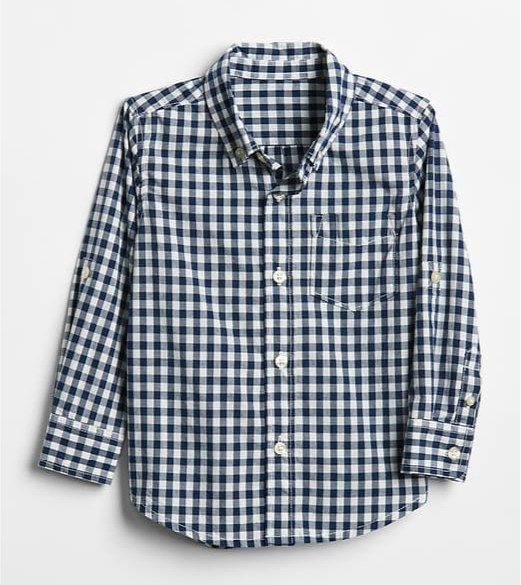 I've been on the hunt recently for some cute button-down shirts for Walker to wear to church this fall and winter. He has some already, but they're in spring colors and I needed to get some that were more fall/winter-focused. 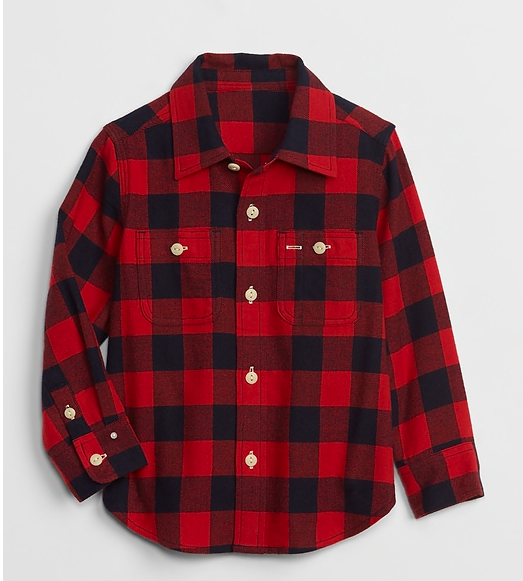 I ordered this one and this one from Gap for him, but I really need to hit up Kid2Kid to see if there are any others for super cheap. Our Kid2Kid is amazing and I always score some good deals there. PS: Gap is offering a great deal right now (until Oct. 1): 50% off almost everything plus an extra 20% off your purchase with the code "TREAT." I used it and got these shirts for Walker for $33 and some change. Walker and Knox have finally nailed down what they want to be for Halloween this year, and after a little back-and-forth from Walker (including ordering a costume per his request, getting it in and him deeming it "too scary,") we now are officially Daniel Tiger (Knox) and "a camo guy" (Walker). Walker's couldn't be easier thanks to me being from East Texas and a quick order on Amazon for this little outfit and Knox's costume was a quick Prime, too. And because I'm sappy, I can't believe this was a year ago -- and I also think these will forever be my favorite Halloween costumes ever! And finally, did anyone watch "This is Us" this week?! I think this was the first episode I (surprisingly) didn't bawl my way through, but I'm definitely intrigued for what this season holds. watched it, also did not cry and so interested in this season. seems different that the rest so hoping its still as good. E wants to be a minion even though she has never seen the movie or any of them. I LOVE that shirt and wanted to order it immediately but they didn't have a small..boo!! I love the FaceTime! That shirt is super cute. I'll have to go check out Walmart! Omg I loved This is Us this week!!! Especially when Deja got Randall the sneakers!!! That shirt from Wal-Mart is adorable! 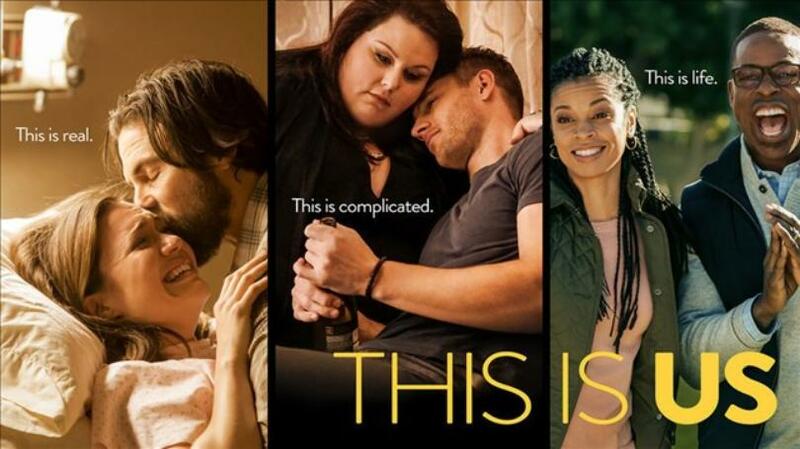 Loved "This Is Us" this week.. can't wait to see what happens this season! I didn't cry with any of my shows and I am okay with that!! I didn't cry at This Is Us and that's a first for sure. I've found several cute things from Walmart lately too! Their athletic wear is cheaper and holding up better than the stuff at Target. LOVED the boys astronaut costumes! Oh how sweet it is that your kids and grandpa FT'd!!! !